According to the Brennan Center for Justice at New York University, 80% of low income people have trouble obtaining legal representation or otherwise accessing the civil court system to protect their property, family, and livelihood. Sadly, that number has shown virtually no movement in the past quarter of a century. The American Bar Association’s Standing Committee on the Delivery of Legal Services says even moderate income Americans struggle with access to representation, often attempting to handle legal matters without an attorney or taking no action at all. When you think about access to justice issues, the cost of legal representation is probably the first barrier that comes to mind. Cost is a barrier for many Americans in need of legal services, but it’s not the only one. In recent years, studies in several states have revealed that geography plays a significant role in access to legal representation. Low-income Californians throughout the state have difficulty accessing legal services, but those in rural areas face additional challenges. There are fewer legal aid lawyers in rural areas than in urban areas and few private lawyers to fill the gaps. Inadequate or unavailable public transportation makes it difficult to access legal services, especially with the large distances between legal aid offices that are typical of rural areas. In addition to the problems that face low-income individuals in rural areas, private attorneys are now flocking to urban areas; this “rural flight” hinders access to traditional paid legal services for rural residents, as well as the opportunity for pro bono services for low-income individuals. Rural areas account for up to one-fifth of the population of the country, but only two percent of law practices. Other practical barriers stand between attorneys and the people who need their services—barriers such as transportation, work hours and the availability or cost of child care. While these obstacles may sound small to a person who has flexible work hours, a reliable car and children old enough to stay home alone, they are often the stopping point for people already stretched too thin in terms of both time and money. Few consumers fully understand the foundation a debt collector must establish in order to obtain a judgment, or know how to present defenses in the courtroom. As a result, the vast majority of consumer debt cases end in a judgment for the collector or debt buyer, often by default. But, those numbers shift dramatically when the consumer has the knowledgeable assistance of an attorney. The New York State Courts Access to Justice Program employs a “Volunteer Lawyer for the Day” system in consumer debt cases, and attorneys are able to either obtain a dismissal or negotiate a settlement on the day of representation in more than half of all cases. In contrast, cases in which the homeowner was represented often yielded very different results. For decades, the challenges presented by geography, time conflicts, transportation, and family obligations appeared difficult or impossible to overcome. Today, a combination of widespread Internet access and legal innovation allows UpRight Law to knock down the barriers created by geography, time conflicts, travel restrictions and even young children. Our online platform allows clients to consult with an attorney, create a personalized action plan, complete documents, and even file for bankruptcy from their homes or offices. 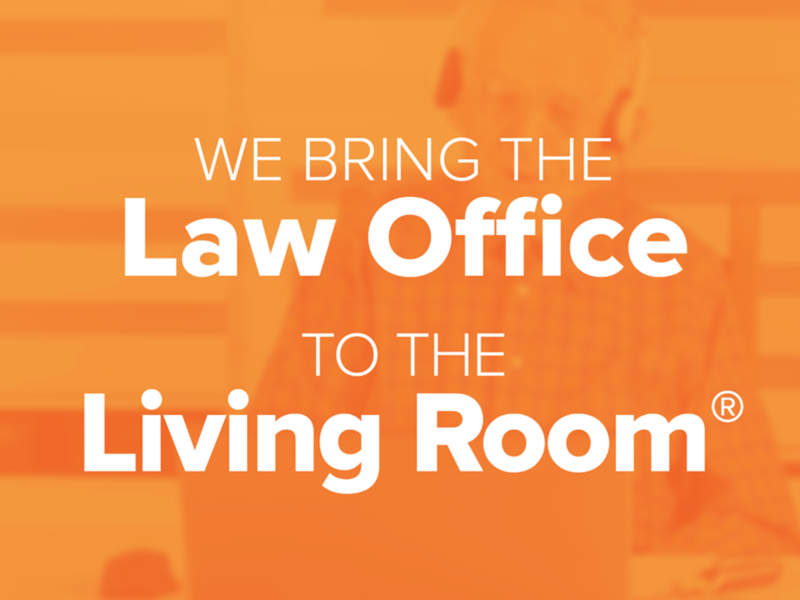 We bring the law office to the living room so that people in need of legal representation aren’t hampered by living in a rural area, strict work hours, broken down vehicles, lack of public transportation or young children. With more than 200 partner attorneys across the country, we’re dedicated to removing the obstacles that have long prevented people in financial distress from getting the help they need.